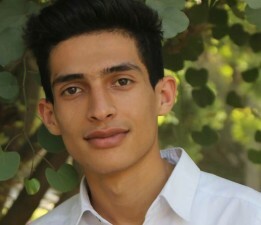 Based in Kabul, Matiullah works as a member of the Public Relations team, responsible for Communication and Web, at the Institute Francais Afghanistan (IFA). He has previously worked as a Translator at the Swedish Committee for Afghanistan (SCA) and as an English Teacher at Thunder High Institute. Mati is fluent in Dari, Pashto, English, and French.